I saved a lot by painting my own house. 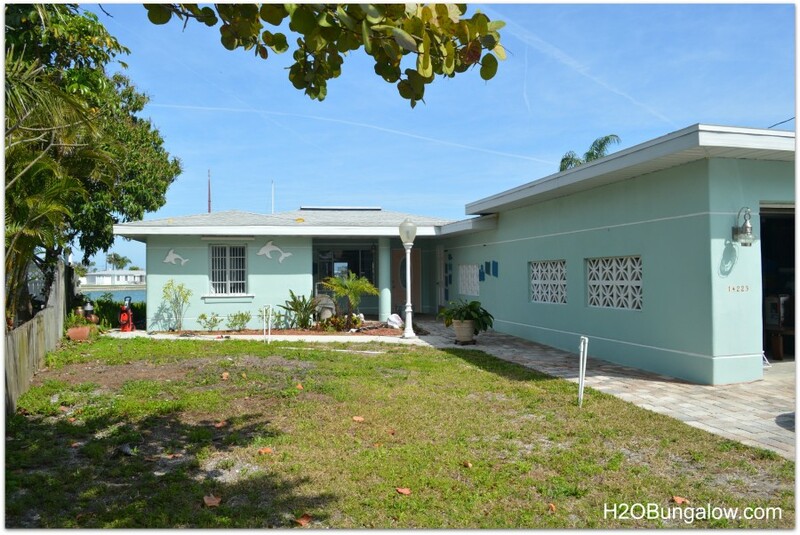 I’m almost finished and want to share my 10 smart exterior painting tips. Follow these tips to make painting easier, last longer as well as look better. If you live in a small home like we do it’s really easy to paint with great results. Save your cash for another home project that you can’t DIY or put it toward a family vacation and make new memories. We are finally moving forward! The FL sweltering heat is just about here for the season. I was too impatient to wait until fall to paint…I’m glad I did. It looks much better, The old paint was tired and past its prime. Without further rambling…Let’s get started. 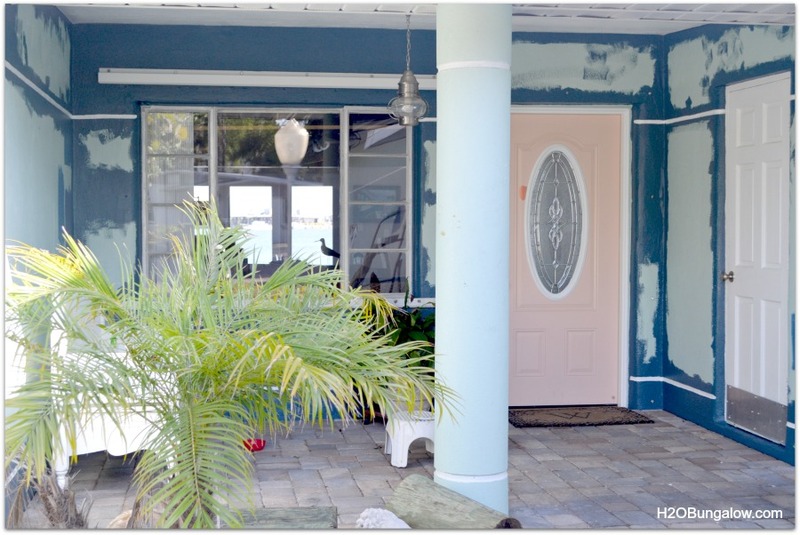 Here’s 10 smart exterior painting tips to help you get a fabulous new look on a DIY budget! 1. Prep properly so your paint adheres well. Our house is stucco and the paint was faded but not peeling. All we had to do was power wash it before painting. If you have wood or other surfaces check with your paint department on how to prepare your particular surface. 2. Buy the best paint you can afford. I bought the best exterior paint in stock on sale at 40% off. I wasn’t ready to paint when they had the sale so I brought it home untinted. When I was ready to paint, I brought it back to the paint store and they tinted it for free. 3. I only tape doors and the ground where the wall meets if there is concrete or a sidewalk. All of my other edges are cut in by hand. 4. Work from top down. Cut in and edge first. 5. I’ve painted a lot over the years. The best dropcloths are the heavy weight fabric ones. I like the 6 x 9 size and cut them in half so I have two 3 x 9 lengths. They last a long time and we use them for lots of different projects. 6. By using two dropcloths, I’m able to move one in front of the other as I paint and it’s much faster than working with one dropcloth. 7. Use the right roller nap for your surface. Use brushes that are comfortable in your hand and big enough to cut in with. Ask your paint store for help if you aren’t sure what size brushes you need. 9. Every few hours rinse your brush out. If you don’t, paint will begin to dry at the top of the bristles and you’ll ruin your brush. If you do have a build up of paint on your brushes, soak them in vinegar over night. It will help to loosen the paint. 10. My last painting tip to share is plan to work in the shade if you can. Start where the house has shade and move with the shade. Your paint will adhere better. It is also a lot more comfortable, you can see the paint application better and of course it’s much healthier to limit your sun exposure. I’ve painted a lot over the last several years. I like painting and painting projects. 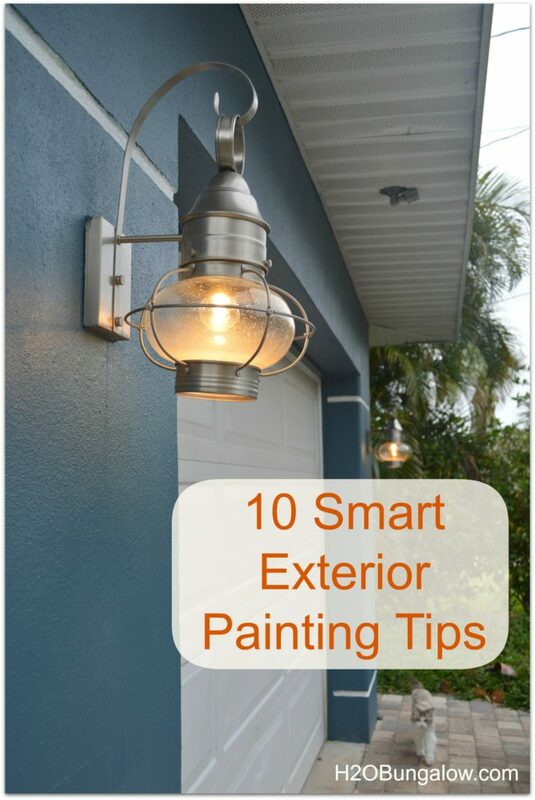 I always follow my 10 smart exterior painting tips that I shared today. It makes a difference. If you’re in a small house like ours, it’s surprisingly easy to paint it yourself and save big dollars. I love the new color. In a few months the outside and yard will look very different from today. I picked this color with our master design plan in mind. You may enjoy these other painting projects and how to posts 14 Painting Tips That Will Save You Time And Money, How To Faux Paint A Copper Front Door or Beginners Guide To Paint a Front Door. 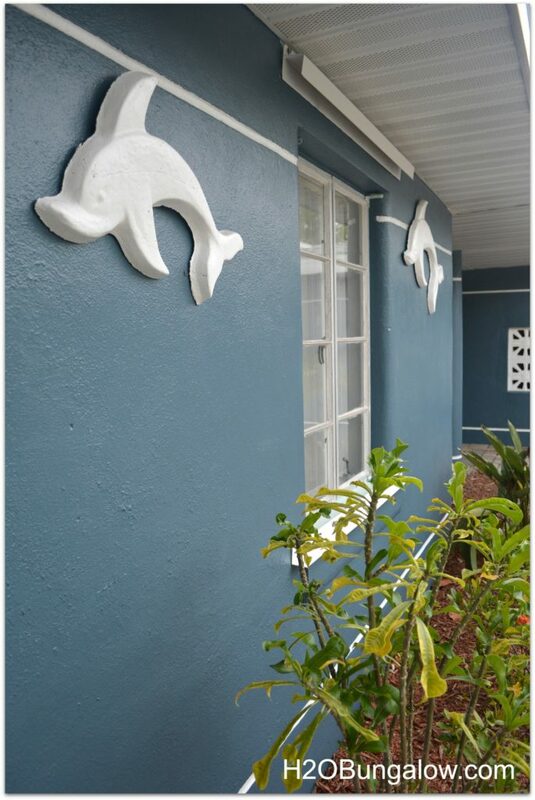 Now that I’ve shared my favorite tips on exterior painting are you ready to paint your home? Social media fan? Don’t be shy say hello! I love when you guys do that! I’m very interactive with my readers on Facebook and I share lots of extra projects and, useful inspiration for the home and content I don’t share anywhere else. Thanks for linking this post on the #HomeMattersParty last week. We picked it as one of our features. You can view it at adventuresfrugalmom.com/home-matters-linky-party-59. Make sure you grab the I was featured button and looking forward to seeing what you link up next. Congrats and once again thank you for linking up. These are great ideas. I especially like the idea of buying it on sale and tinting it earlier. Congrats on your #HomeMattersParty feature. Wendi, Great tips and thanks for the post. 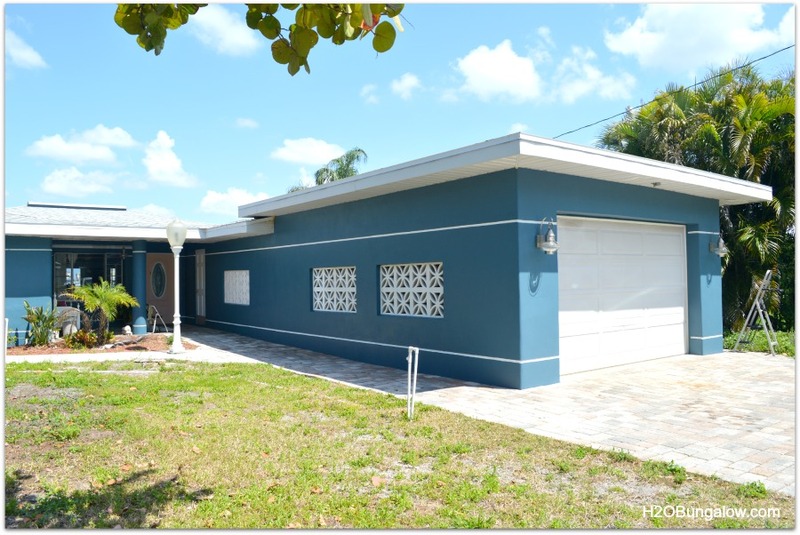 Prepping an exterior paint job is key because it sets the foundation for a terrific paint job. Power washing your home is a great way to prepare for painting, I would also add removing old caulk and scraping away any loose paint from your surface to your list of preparation ideas to your list. 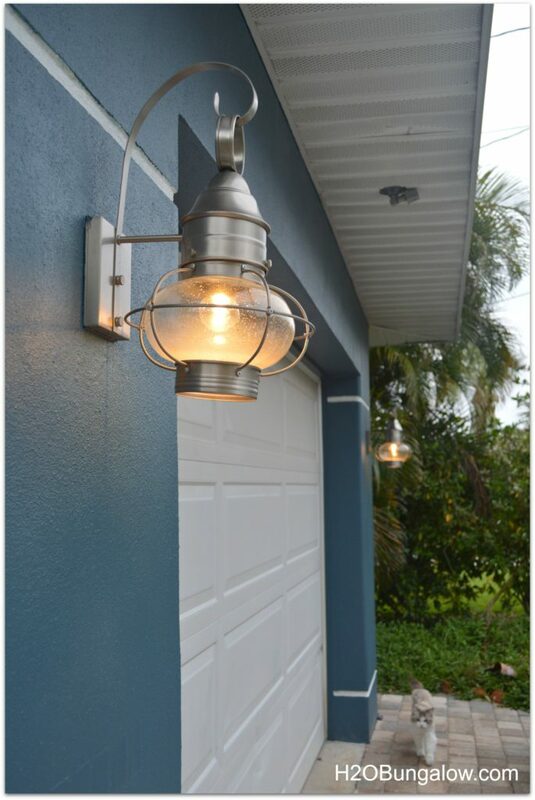 What colors do you prefer for exterior paint? Good points Daniel, thanks for sharing them. Our paint was still in good shape. I was lucky not to have any peeling paint or caulk to remove on our stucco. I’m sure plenty of readers have both. Thanks for sharing.. and I prefer beach colors, of course! Beach colors, of course! I should have known by the website outline and the pictures. Lyn. Thanks so much & I saved a fortune by painting it myself too. I think I found those lights at either Lowes or Home Depot. They might be special order now, but they should be on the website. I love the nautical look and they’ve been up for almost 2 years now. Good luck! I’m glad you found my blog & please do keep come back! What paint color did you use on the exterior of your home? It’s Bunglehouse Blue from Sherwin Williams. I used the Duration exterior paint line. I’m very happy with the color..and so are our neighbors sine the house was awful before! Great tips Wendi! I pinned for the next time we paint. Thanks for pinning Kelly! These tips were huge time savers for me. I hope they save you time and extra work too! Thank you! I’m sure there are lots and lots of people who still need their homes painted! Thank you for stopping by!